1 Tea Spoon of Cinnamon Sugar. 1 oz. of Bulleit Bourbon. 1 oz. of Van Gogh Wild Apple Vodka. 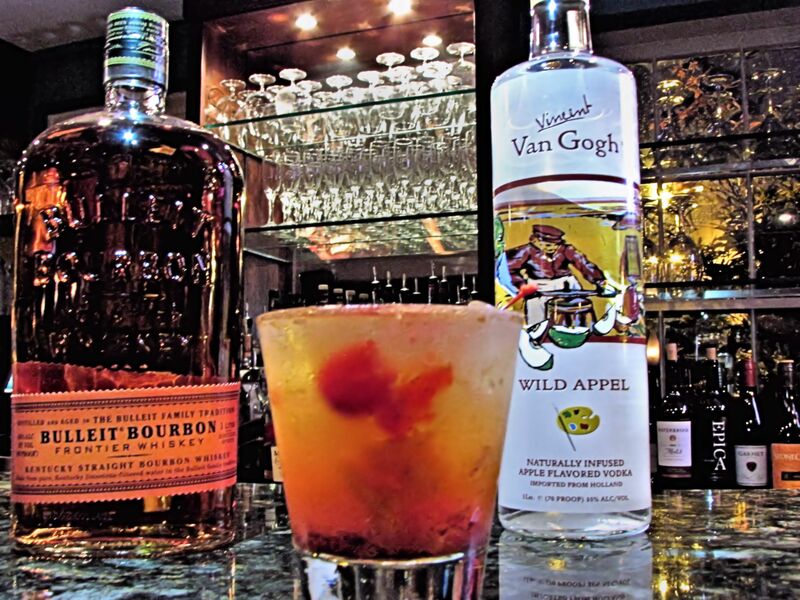 Add the Bulleit and Van Gogh to the glass. Fill the glass with ice and pour into a shaker. Using a bar spoon stir ingredients in shaker and slowly pour back into glass. Kali’s Mezze is Kali’s Court sister restaurant. 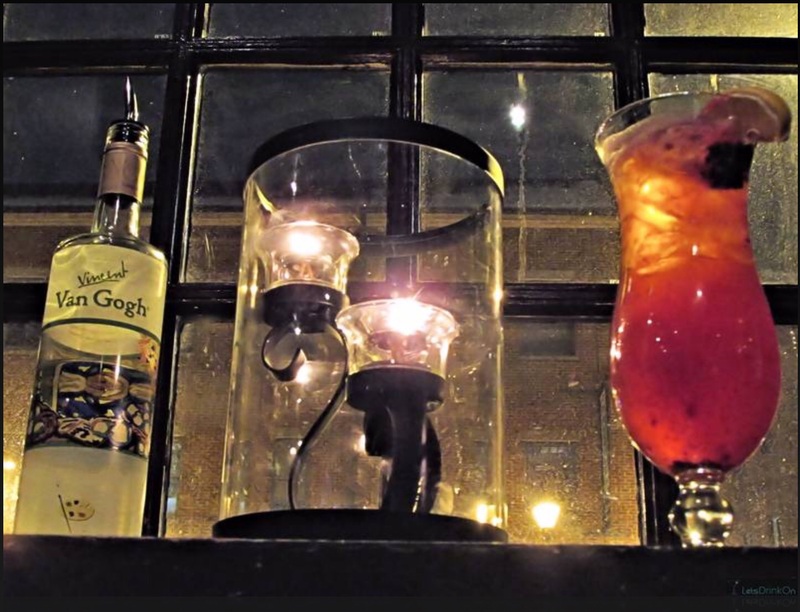 Like Kali’s Court it is located in the heart of Baltimore’s famous Fells Point. Mezze specializes in traditional Mediterranean Cuisine, and has incredible ambiance. Located a stones throw from the water and if you are there doing the day, plenty to do besides the dining. If you are there for the evening hours, you should find plenty after dinner activities, possible dancing at Kali’s Court. This cocktail is Mezze’s play on the OId Fashion, one of my favorites, since I love bourbon. That being said, I am always a little skeptical and nervous when someone has to play with the Old Fashioned. You know the saying “If it ain’t broke, don’t fix it”. So fortunately I have worked with Maryam before, so I gave her some latitude. It is exactly a fall fashion, the ingredients chosen for this Signature Cocktail blended with the Bulleit, give it the perfect taste and color for a fall cocktail. It has just a little bite, the amount you would need on that fall day after raking leaves in forty degree weather and you need a little warmth. Maryam Samadi is the creator of this Signature Cocktail and the lovely bartender in this video. Maryam has plenty of experience behind the bar and in the restaurant industry. She can make you some great cocktails and be very entertaining while doing If you are looking for a place with great food, great drinks and great service behind the bar. I suggest you stop in at Mezze.